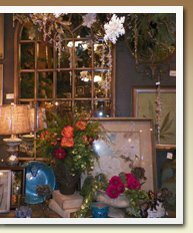 Sandstone Gardens is the unparalleled shopping, visual, and dining experience in the Mid-West. 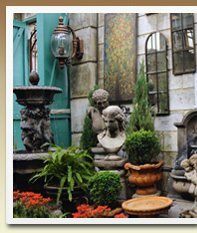 Harbored just west of Joplin, Missouri on I-44, the majority of Sandstone's customers travel more than an hour to gather accents and accessories to embellish their home interiors and garden landscapes, while enjoying the ambiance of their 50,000 sq. 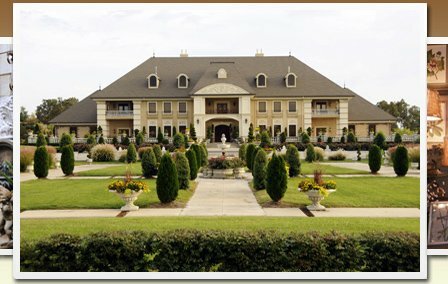 ft. showroom, inspired by the architecture and gardens of a "Turn of the Century" estate. Sandstone’s Bistro serves lunch daily and offers a menu of homemade entrees and desserts. In its opening year, the Bistro was awarded “Best Restaurant” by 417 Magazine, covering all of southwest Missouri (Joplin, Springfield, and Branson). Sandstone Gardens, Inc © 2013 All Rights Reserved.